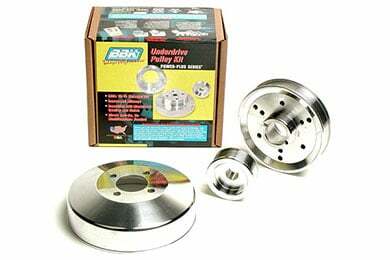 Read 9 customer reviews about Pulleys that have an average rating of 4.5 to find out what product is best for your vehicle. After installing the BBK Underdrive Pulley Set the engine runs smoother (especially at idle) and quieter, not that it was rough before. It doesn't wind up as high or loud in first gear, which if what I was looking for. Quick delivery. I'm satisfied with this product. Reference # 766-174-234 © 2000-2019 AutoAnything, Inc.